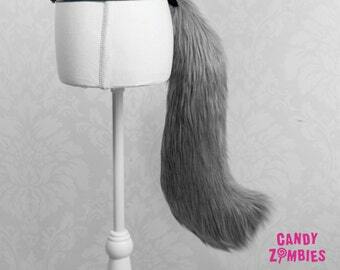 High quality deluxe fox ears with matching fox tail. 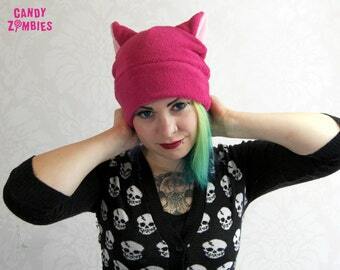 The fox ears have been made from high quality faux fur and trimmed down. The insides and the rim have been airbrushed. 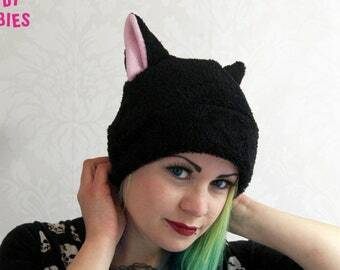 Unlike other ears they are not attached with wire, instead sturdy elastic is machine sewn in. 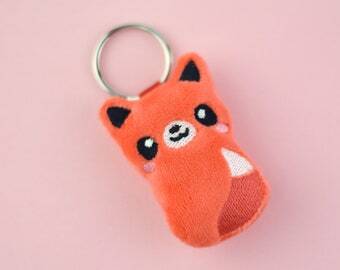 The fox ears are attached to a thin metal headband and can be moved up and down. They are wired and therefore bendable to your liking. The headband is adult onesize. 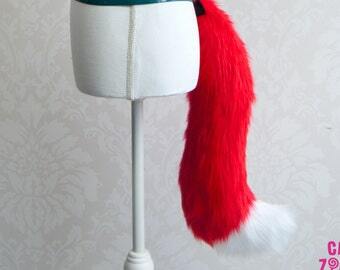 Matching the ears you will receive a fox tail in red, brown and white made from deluxe faux fur. The tail can be attached via elastic belt loops. You'll also get a complimentary large safety pin. You will receive the exact ears and tail in the pictures. 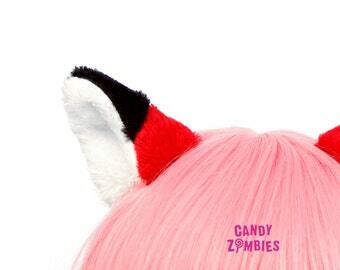 Fox ears: 80% acrylic, 20% polyester. 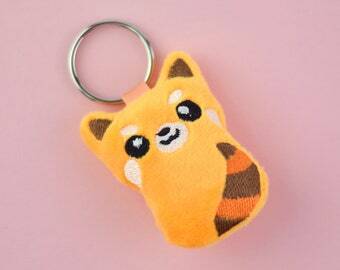 Fox tail: Outer material: 80% acrylic, 20% polyester, filling 100% polyester. FOX WOLF TAIL Foxtail Wolftail with colorful tip in a color of your choice - Vegan - Faux Fake Fur Plush - loads of colors!